Bring the TableTop Game revolution to your classroom! Board games are experiencing a renaissance and tapping to their innate engagement is a no brainer. This is the natural evolution of task cards. 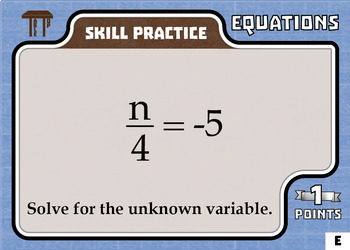 TableTop Math games cover a single unit of math study. The question range from simple skill practice to application. 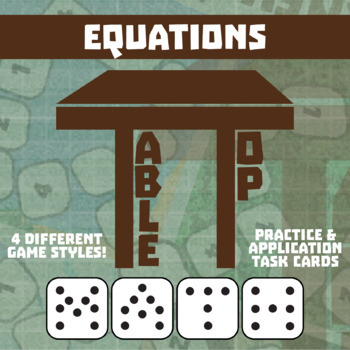 Provided are four different game styles that can be played with the same set of math cards. 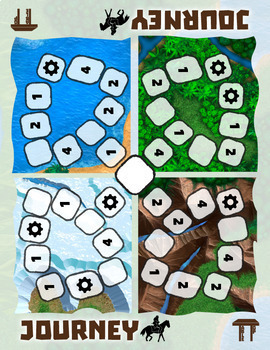 Mix it up or let your students choose what to play. The choice is yours! This video provides an explanation of the game rules for the four different games. I have recorded it so that it is student facing, but you can benefit from learning the rules yourself. (Written directions are also included). You can find a link to a downloadable video of the directions Here. You may prefer to view through YouTube (Direct Link), because I have provided hyperlinks to the specific games in the event you want to introduce students to one game at a time. 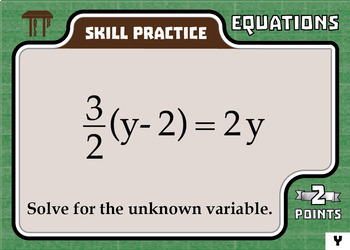 Each game includes 32 math cards, two gameboards, handouts for each game, one answer key card and special action cards to make play even more fun. You can use the cards one unit at a time or shuffle multiple units together for one epic review!